The University of Louisville is a state-supported metropolitan research university located in Kentucky's largest urban area. It was a municipally-supported, public institution for many decades prior to joining the state university system in 1970. The 320-acre Belknap Campus is three miles from downtown Louisville and houses seven of the universities eleven colleges and schools. 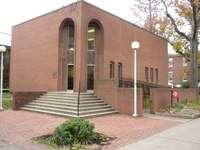 The Health Sciences Center is situated in downtown Louisville's medical complex and houses the university's health-related programs and the University of Louisville Hospital. On the 243-acre Shelby Campus located in eastern Jefferson County are the National Crime Prevention Institute and the university's Center for Continuing and Professional Education. Come join the Cardinal family and find out why the University of Louisville is a top urban University within the U.S.